Our plane left Raleigh Durham airport on a Saturday morning, with Hurricane Florence growing in the Atlantic and no one knowing where it would go. 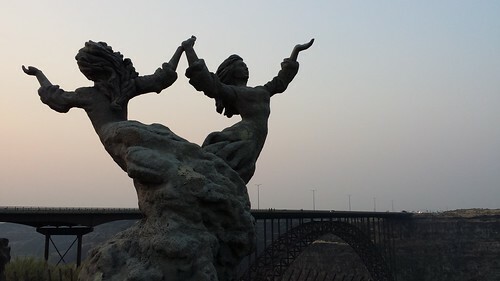 Fortunately, my friend the Fabulous Zha K house-sat for us during this vacation, a saving grace for my anxiety in the coming days! 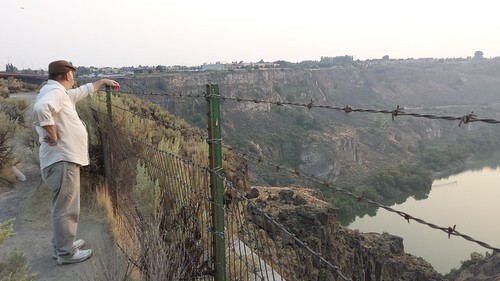 We rented a car in Salt Lake City and immediately set out for Twin Falls, Idaho, where we had rented a great AirBNB room for a very reasonable price. It was very hazy along the way from the wildfires to the west, so we couldn’t see much in Utah other than the desert on the sides of the highway. 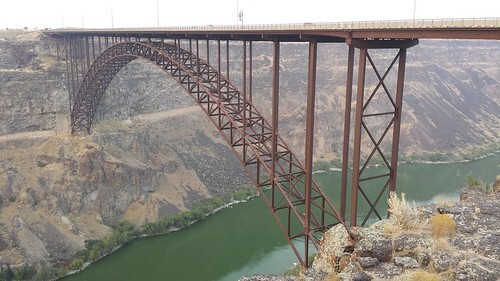 We stopped at Perrine Bridge over the Snake River Canyon, where to our surprise, we saw someone base jump from the other side! Turns out that this is one of two places in the country that allows unrestricted base jumping. Not for me, I can tell ya that. 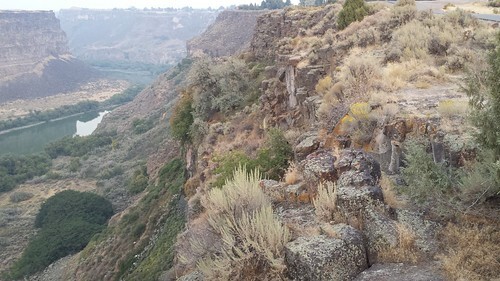 There were musicians playing in the park next to the bridge and people walking and running the trail on the side of the canyon. 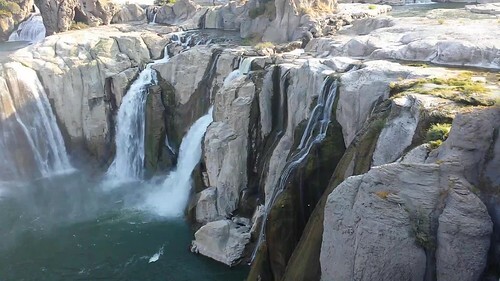 Other facts I didn’t realize before picking this place – the beauty, the quality of the town, Shoshone Falls, and that Evel Kneivel jumped the canyon here. Where we first stopped, there was obviously a feral cat colony living on the side of the canyon beside the bridge, and signs that they were being fed and taken care of. 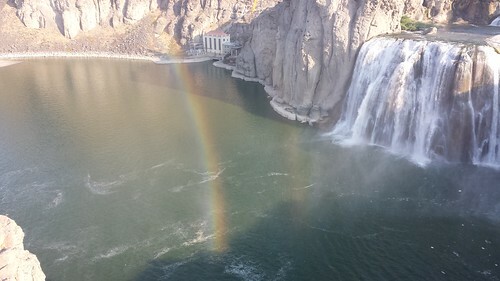 That immediately turned me on to Twin Falls, Idaho. I could see us living there. That night, we ate at Elevation 486, which served locally sourced food and was very good. We noticed that there were several national sites within driving range. One was not far off our route to Craters of the Moon, so we decided to stop there on our way.